A month after lifting its ban on online images, Johnny & Associates now announced it will be opening up an official Youtube account. Johnny’s Jimusho announced on March 4 that it will open an official Youtube account “Johnny’s Jr. Channel” for select Johnnys Jr. groups which will start delivering content on March 21. Dramas and movie trailers featuring Johnnys talents have been uploaded on the site but this will be the first official Youtube account opened by Johnnys. 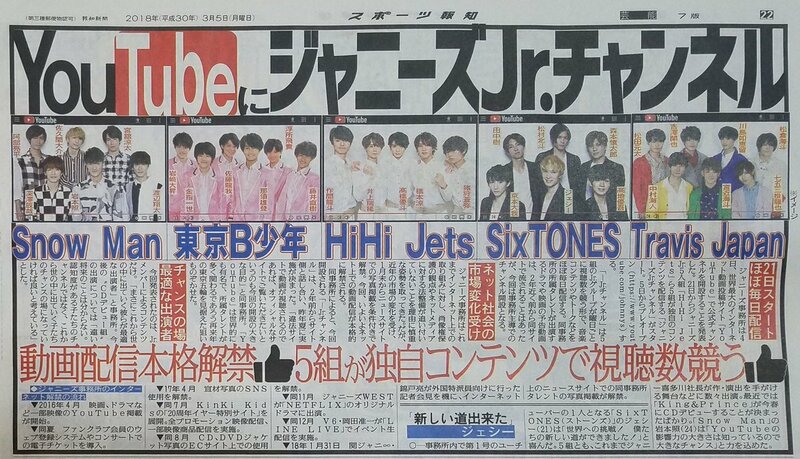 Five groups will be appearing in the channel – Snow Man, SixTONES, HiHi Jets, Travis Japan and Tokyo B Shonen. Each group will be responsible for a day in the week from Wednesday to Sunday delivering content such as music activities and talk. Monday and Tuesday will showcase a project not bound by the framework of the group. The length of each program will be 5-20 minutes. Johnny’s Jr. Channel features an array of contents including performance videos, behind the scenes footages, entertainment shows and exciting challenges. Something new with exciting content is posted almost every day so every audience including fans of Johnny’s artists and day-to-day YouTube viewers can enjoy the channel. 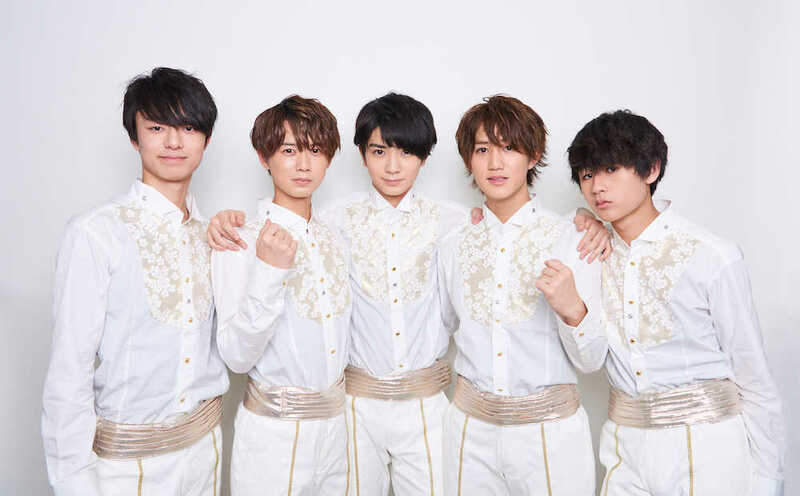 Johnny’s official YouTube channel kicks off with self-nominated Johnny’s Jr. artists – HiHi Jets, Tokyo B Shonen, SixTONES, Snow Man and Travis Japan taking turns each day of the week to compete against each other for more audience views. All of Johnny’s YouTube content are available to viewers globally. According to the office, “Johnnys Jr Channel”, has been discussed two years ago and was decided last summer. One of the main reasons for establishing the site is to make people watch at the official site instead of watching illegally uploaded videos. ▼ July 2017 developed the “20th Year Anniversary Special Site” of KinKi Kids. All promotional materials and audio visual products were streamed on GYAO! ▼ November 2017 Johnny’s WEST appeared in the original drama of “NETFLIX”. ▼ December 2017 V6 Okada Junichi carried out event via “LINE LIVE”.